"Les Halles" are located right in the heart of Paris, and have always been one of its busiest neighborhoods. A huge market had been there for decades, and was eventually moved to the suburbs, near Orly airport, when the heavy traffic of trucks became a big problem, and a gigantic hole remained. In the fall of 1979, after a long wait, and after several excentric suggestions were dismissed, the hole was replaced by a big underground mall, on three levels. At the same time, two movie theaters opened in what was going to become one of the major movie theaters neighborhoods. A few years later, as security became a problem in this place which never closed down its entrance doors, a renovation was started. Today, the mall is much brighter, and even if it sometimes looks like a gangs' turf, security has improved a lot. Forum Arc-en-Ciel 1. Nothing to write home about. Forum Arc-en-Ciel 2. The screen was too high. This auditorium, the second largest in the complex, was the only one to offer Dolby sound. The "Forum Cinéma" had two auditoriums, numbered 3 and 4, offering about 150 seats each. Art and research movies wrre presented in their own languages (V.O.). The screens were seven meter (25 ft) wide. Several years later, two other auditoriums, numbered 1 and 2 (300 and 250 seats), were added. The place got a new name, the "Forum Arc-En-Ciel", and was taken over by Jean-Pierre Lemoine; the new screens were identical to the older ones, but the audotoriums being bigger, the screens seemed much smaller. Theater 1 was long; in theater 2, the only one with Dolby Stereo sound, the screen was too high. The movies presented were more popular than at the beginning, but were still in V.O. This theater closed down in 1986 when the "Forum Horizon" opened. The Gaumont entrance during the opening week. The Gaumont wouldn't die that young. At the opening, six audioriums (130 to 380 seats) presented movies either in V.O. or dubbed in French (V.F. ), and only in V.O. later. Fares were cheaper at noon (13 francs instead of 18). Decoration was sober and typical of the 70's. Fluorescent tubes clicked when turned on (they still do). All the screens were almost identical (6 to 7 meters wide - 20 to 25 ft), a big problem for theater 1, which is very long and narrow. Like the "Forum Arc-En-Ciel" and "Fourm Orient-Express", the Gaumont suffers from an illness we could name "low ceiling syndrom", which means no screen in the mall can be wider than 25 ft; the only solution would be to break the ceiling or the floor to use two levels for the same auditorium; hey, why not? Theaters 2 through 5 look pretty much the same, and theater 6 is smaller. Since the opening of the Forum Horizon, mostly small or art movies are featured, all in V.O. Noon (or eleven for that matter) shows are a big success. The first year of the theater, waiting lines were long and badly handled, and it was virtually impossible to sit in a theater on time howerever early you arrived. This has changed now. Every hall is now equipped with Dolby Stereo sound. Patrons, heirs of those who attended small Latin Quarter movie theaters in the 70's, come regularly, and don't seem to mind the rather small screens and the lack of digital sound. Level -4 of the Forum, between the "Fnac Sports" (a large sport store, now named "Go Sport") and the RER (for "Réseau Express Régional", the commuter train), Jean-Pierre Lemoine opened the six auditoriums of the Forum Orient Express during the summer of 1983 in the volume used by a former and short-lived disco. The name sounded prestigious, and I expected something pleasant, but the complex was just named after a Forum street. It was what could be defined as a "cheap" movie theater complex. About seven hundred seats for six auditoriums, a "large" auditorium of two hundred seats at the end of a long corridor right of the box office, and five smaller one-hundred seat auditoriums, weirdly built and even twisted. 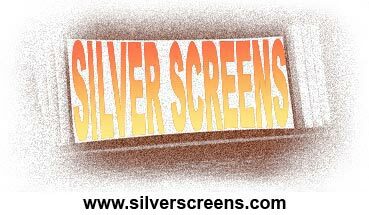 All screens are about six meter (20 ft) wide, but only parts of them could be used in some auditoriums. The black ceilings could hardly hide pipes of all kinds and sizes. Theaters were "opened to the world", meaning that during the movies, you were able to enjoy flush noises right above your heads, the RER's passing feet below you (the complex is right above one of the busiest train stations in the country! ), or casual soundproofing problems (so great to hear Dr Zhivago's music for two hours while you were watching something else!). Movies have always been in V.O. since the opening. A seventh auditorium (only forty seats, but actually one of the most decent in the complex!) has been opened, located above the others on level -3. The largest auditorium was equipped with Dolby sound. In 1986, when the "Forum Horizon" opened, built by the same Jean-Pierre Lemoine, many expected the end of this movie theater which sould have never been born, but the "Forum Arc-En-Ciel" closed down. Some of us would almost expect a hysterical Jean-Pierre Lemoine tearing down the complex with a sledgehammer, yelling "I should have never opened this thing! Please forgive me!". But the complex was to remain opened, showing movies once they had ended their carriers at the "Forum Horizon", and smaller movies (along with the "George V", on the Champs-Elysées, also ownled by Jean-Pierre Lemoine at that time), its main strength being noon shows (except Sundays and bank holidays!) at cheap fares. UGC took over the complex and renamed it "UGC Forum Orient Express". Little changed, except for five months in 1995 when the "Forum Horizon" closed down, and when some major movies were programmed. The complex survived the opening of the big UGC Ciné Cité, and was later renovated. New decoration, no more pipes in the ceiling (they're still there, but conceiled), Dolby sound in four halls (why not all?). The place is nicer, people are really friendly, but screens are not any bigger and you can still hear the RER's. Last, but not least, the Forum Horizon, from Jean-Pierre Lemoine again, opened on September 10, 1986, at the same time as the New Forum, wider and brighter than the older part of the mall. Two young architects, Christine and Dominique Carril, who already designed theaters 7 through 10 from the first version of the Pathé Belle-Epine, gave birth to that superb complex all moviegoers have been awaiting for. It was inspired by the Kinopanorama's and to a lesser extent, by the Escurial's concepts, integrated in a multiplex. The projection booth was Paris's largest (in that replacing the 14-Juillet Beaugrenelle). Many fares are offered: only twenty Francs at noon, cheap in the afternoon, more expensive in the evening, and small auditoriums are cheaper than bigger ones, themselves cheaper than the the biggest one. All movies are presented in V.O. On the opening day, Othello is in theater 1 and Color Purple in theater 2. The next week, Disney's Fantasia in THX will be the first success of the complex and theater 3 opened. In the following weeks, theaters 4, 5 and 6 were to open. The complex got its fame from his largest auditorium, the first one in France equipped with George Lucas's THX. Instead of a number, the auditorium had a name, "Grand Amphithéâtre", but its nickname was "La Salle THX" (the THX auditorium). The 18 meter (70 ft) screen was huge by this time's standards. The sound is great, movies are sometimes presented in 70mm. The walls are covered with bricks, the ceiling with wood, and the rest is brick-red. But there is more. The other auditoriums also have big screens. Theaters 2 and 3 are identical, with 300 seats, a ten meter (35 ft) screen protected by a screen, and Dolby sound. Theater 4 is similar, but a little bit smaller. Theaters 5 and 6 (150 and 120 seats) are almost cubical; the screens are seven meters (25 ft) wide, but all the height available is used, and the picture is rather big as long as wide screen is not used; theater 5 is in Dolby, theater 6 in mono (the 5/1 ratio of Dolby theaters was unique back then; even today, some complexes don't even come near it). Jean-Pierre Lemoine withdrew, Pathé operated the complex for a few months, before UGC bought the place, and renamed it "UGC Forum Horizon". Theater 1 got the "Salle Prestige" label, and none deserved it more in Paris. But UGC wouldn't stop there, and decided the complex would be completely remodelled, taking the volume formerly used by the "Centre Cousteau" which had been closed after bankruptcy, and becoming the biggest in the region, with large screens and digital sound. Theater 6 was closed and demolished before the others, and the Forum Horizon closed down in Janary 1995. Patrons would have to go back to the Champs-Elysées and other areas for a little while. On June 21, 1995, we were to discover that multiplex UGC had promised, the first in a new breed of movies theaters, the UGC Ciné Cité Les Halles. First surprise, the first shows started at 10 in the morning. There were a dozen of us in the waiting line, while some employees and the director seem busy and preocuppied. The director came out to tell us to be patient, we would have to wait a little longer because of a problem with the computers; when he came back a bit later, he told us they wouldn't be able to print tickets, and to thank us for coming to the first show, he offered us to come in for free and see the movie of our choice. Very nice! I had a look at some of the auditoriums, and I took the escalator down to the location of the former Forum Horizon. ; there it was, apart from slight changes, our good old movie theater was still there. The auditoriums have changed. Theater 6 would have been in the way of the escalator, and wasn't there any more. Theaters 2, 3 and 4 lost a few dozen seats each, and got stadium seating, and their screens gained two meters. Theater 5 didn't change a whole lot, and its screen is one of the smallest. The other auditoriums are totally new, and all stadium seating. The other largest auditorium is theater 10 (500 seats, 18 meters screen), but is less impressive than theater 1. The third largest is theater 6 (350 seats), its huge concrete slab can be seen above theconcession stand from the entrance; it is very steep, viewing conditions are excellent, and the screen is 16.50 meters (55 ft) wide. The seven other auditoriums (60 to 150 seats) are much smaller. All screens are about 8 or 9 meters (25 to 30 ft) wide, and are rather correct, but nothing extraordinary there. Every auditorium except # 1 are equipped with DTS sound, but since many American movies featured are in SRD or SDDS, they have to be projected in Dolby Stereo SR, which is a waste. In 1997, four small auditoriums were added to the complex. They also have stadium seating, and DTS sound. They are numbered 20 through 23, which could lead to suppose four new auditoriums, numbered 16 through 19, might open in the near future. Many good and not so good things in this multiplex. It offers three large auditoriums, three medium and thirteen small ones (to compare to the Gaumont Parnasse - four large and eight small - or the Pathé Belle-Epine - one large, seven medium and four small -). The theater has to project major movies in two large auditoriums. The suppression of THX was a terrible choice. The fact that eighteen auditoriums out of nineteen are equipped with DTS is terrific, but the fact that only one offers Dolby Digital and none Sony's SDDS is a pity. I often go to a different area just to enjoy SRD or SDDS sound. Morning shows with reduced fares are good, but since the schedules change every Wednesday, it would be useful to learn about the show times on Tuesdays, at the complex entrance, in newspapers or on the Internet. When I am not working on Wednesdays, I sometimes get up early to go to see a new movie, only to find out in the "Officiel Des Spectacles" that nothing is played before 10:30, or that I need to go to another location. I also hate that habbit to force the audience to leave the auditoriums through the emergency exits after the movies, because the architects completely overlooked the problem of people sneaking in other auditoriums. It would be nice to be allowed to the main bar, wich is vast and pleasant, if not a bit expensive, and worse, we should not have to ask for permission to use the restrooms. And what about walking through endless corridors covered with graffitis? People who paid fifty Francs to get in should be treated with more respect. This problem needs to be solved, the sooner, the better. A little less than twenty years after the opening of its first theaters, the Forum Des Halles has become the fourth movie theaters location in Paris, ahead of the Latin Quarter, one of its main competitors. The UGC Ciné Cité has become the second movie theater in France by the number of tickets sales (right behind the huge seven thousand seat Kinépolis in Lomme, near Lille), the first one in the "Ile-De-France" (Paris and its suburbs), ahead of the Gaumont Parnasse, the Pathé Wepler and the Rex, and its two largest auditoriums rank sixth and seventh in the region. The three complexes located in the Forum are new or have been recently renovated, and their thirty-two auditoriums offer decent viewing conditions for most movies, in their original languages. But some auditoriums could be larger (Gaumont and Orient-Express), and the Ciné Cité needs to improve its range of digital sound systems. This multiplex, UGC's beacon, has beautiful screens; it should not be too hard to equip each auditorium in SRD, and at least some of the largest in SDDS! And please stop evacuating us through the emergency exits like one gets rid of garbage after a good meal!